Home > Feng Shui > Bagua Mirror - Convex 4"
Bagua Mirror - Convex 4"
Yellow Convex Bagua Mirror (4"). 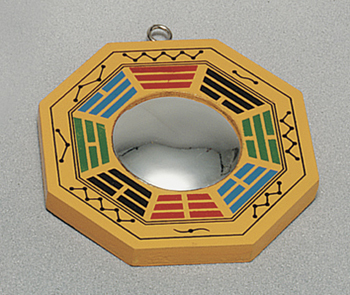 Bagua Mirrors are frequently put outside the home or in doorways to ward off negativity. Bagua Mirror - Concave 4"